I have written before about January 6th, Epiphany or the Day of the 3 Wise Men (or 3 Magician Kings, as we call them in Mexico), and I have shared how we eat Rosca de Reyes (a large, elliptical-shaped bread that is eaten communally to celebrate when the 3 Wise Men came to Bethlehem to visit newly-born Jesus Christ. Those who cut a piece of the Rosca de Reyes and find a little plastic child (a representation of Jesus himself) is supposed to throw a party on the anniversary of the presentation of Jesus to the temple (Dia de la Candelaria, February 2nd). 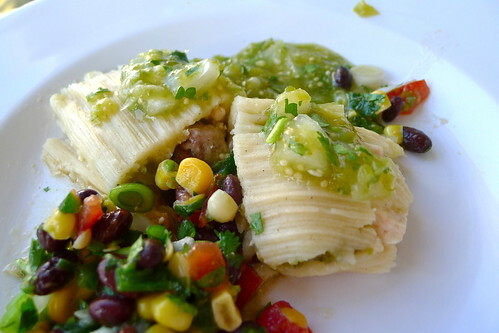 At this party, tamales usually are usually consumed. Today is Dia de la Candelaria, but unfortunately none of the people I know who got the little plastic child actually are having a party. Which is too bad, because I wanted tamales!